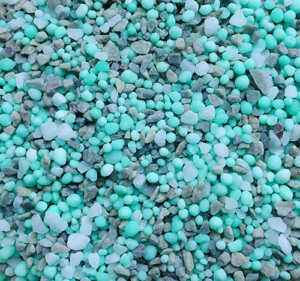 Granular Turf Fertilizers – Turf Shark Fertilizer Inc.
+ 6%S + 35 % SRK. for season long fertility with added sulfur. Contains 4 different forms of nitrogen with varying release times for consistent feeding. 1-4 week release derived from Urea. 6-8 week release derived from XCU. 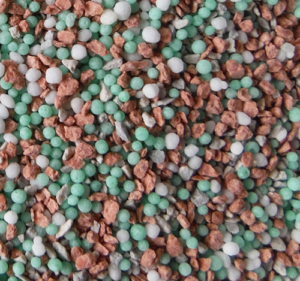 10-16 week release derived from Sustainable Nitrogen (SN). 18-24 week release derived from controlled release dual Polymer/Sulfur Coated Nitrogen. 2 Forms of Potassium, including a dual action controlled slow release K that can last up to 22 weeks. With 20-24 weeks duration, only one application per year is required which makes this product an ideal labor saver for the maintenance/landscape contractor. **Note, 9-12 lbs/1000 sq.ft. of product are recommended per season. Performs consistently regardless of soil temperature or weather and provides consistent color. + 2.6%Mg + 3.0%S + 25% O.M + 2% Kelp + 4% Humate. Homogenized Organic-based Turf Fertilizer, made with 65% ingredients that qualify as ‘Organic’. With 25% Organic Matter. Only 2 applications per year @ 10lbs/1000 sq.ft. per application, means labor savings to the applicator. 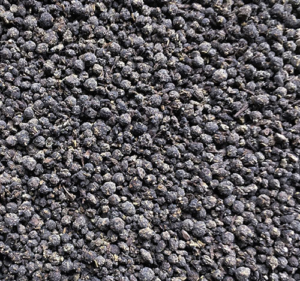 Derived from Alfalfa, Leaf and Yard Compost, Kelp, Humate, Potassium Sulfate, Methylene Urea, Urea, Sulfur and Magnesium. Contains a broad spectrum of secondary and micronutrients as well as amino acids and bio-stimulants. The slow release nitrogen is from Methylene Urea which is widely known to be non-burning in the hot dry months. 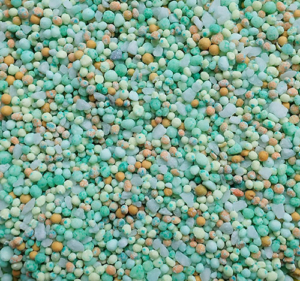 Homogenized prill means more even feeding to the turf. A blend of high quality turf grade nutrients for up to 110 days of fertility. Contains 3 different forms of nitrogen with varying release times for consistent feeding. SN contains 3 inhibitors that reduce nitrogen loss to ammonia volatilization and N leaching. 180 – 220 SGN. Custom Blends available. A blend of high quality turf grade nutrients for up to 70 days of consistent feeding. SN contains 2 inhibitors that reduce nitrogen loss to ammonia volatilization and N leaching. 200 – 240 SGN. Custom Blends available.